A paramedicine, planning and nursing student walk into a bar… and all walk out with casual jobs. Three students share what they’re doing to pay their way through uni in Bendigo. There’s no mention of Mexico on a Monopoly board. Likewise Alonso Navarro didn’t expect to find burritos way south of the border in Bendigo’s-own Pall Mall. Alonso is pretty qualified to make that statement – besides hailing from Mexico, he works in the Cantina kitchen and has tried most elements on the menu. “This is the sort of place you could easily find in Mexico city,” he says. We’re pretty sure the restaurant didn’t expect to find a Mexican walking through the door either. “I’m not sure if that sealed the deal for me but I’m pretty sure it helped,” Alonso laughs. The Masters of Community Planning and Development student says the last time he worked in hospitality was while in high school. The 29-year old went on to university studies in Mexico before working as a market and social researcher, and a journalist for radio and magazines. 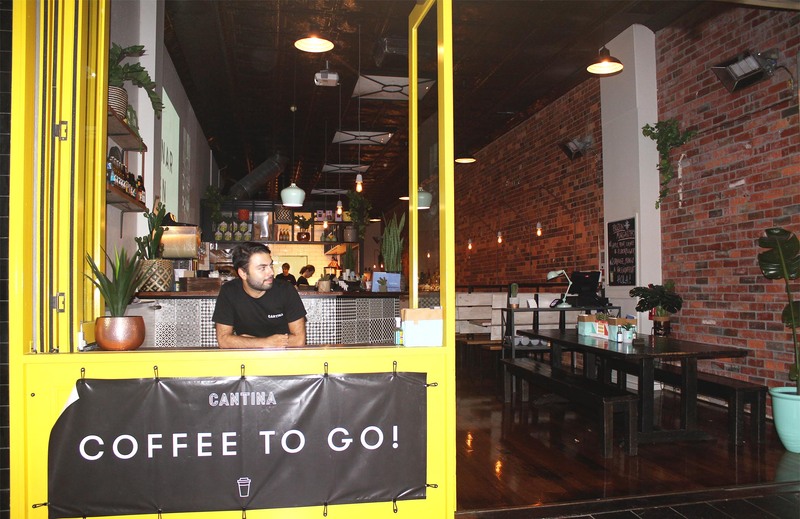 Alonso hopes to keep working at Cantina over the next 12 months of studies in Bendigo. Then, he hopes to stay on in Australia to put his new-found knowledge to use. Bianca is working her way through uni at one of Bendigo’s coolest fine dining restaurants, Masons. Bianca moved from Echuca specifically to study a Bachelor of Paramedic Practice and Public Health Promotion, only to find she really loves her adopted city. She says this job has helped her get to know the community. After all, everyone loves Masons. “Some people at uni only know the campus, the place they live and the local Woolworths,” she says. “I live here and I stay here on the holidays. I’m fully immersed in the community and I live a full life here. 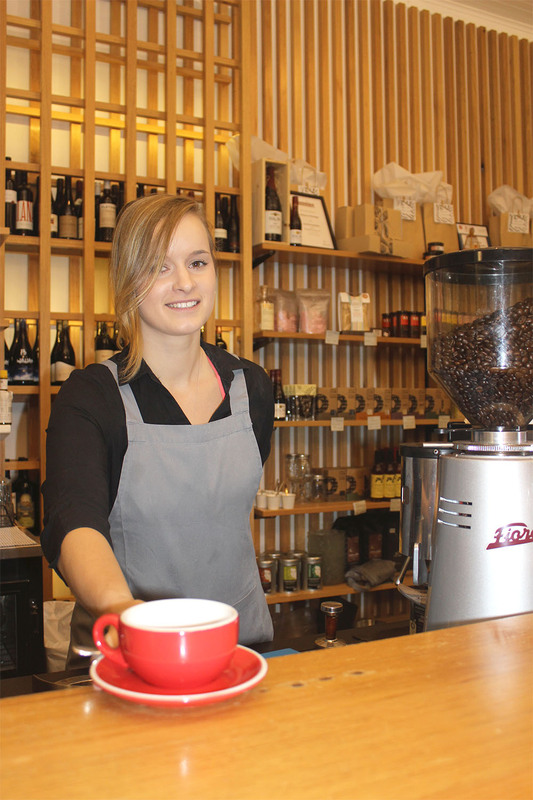 “I’ve learnt a lot working at Masons. Last month we all went to see one of our producers and I learnt about their farm. I know all about our local wineries too. Bianca works double shifts most Fridays and Saturdays, unless she’s on placement. Next semester she’s got 200 hours of work experience with Ambulance Victoria. Around half will be spent in the city and half in the regions. She says they can be expensive weeks away. Michelle (far right) with her Boris Murgers work mates… and Marilyn. 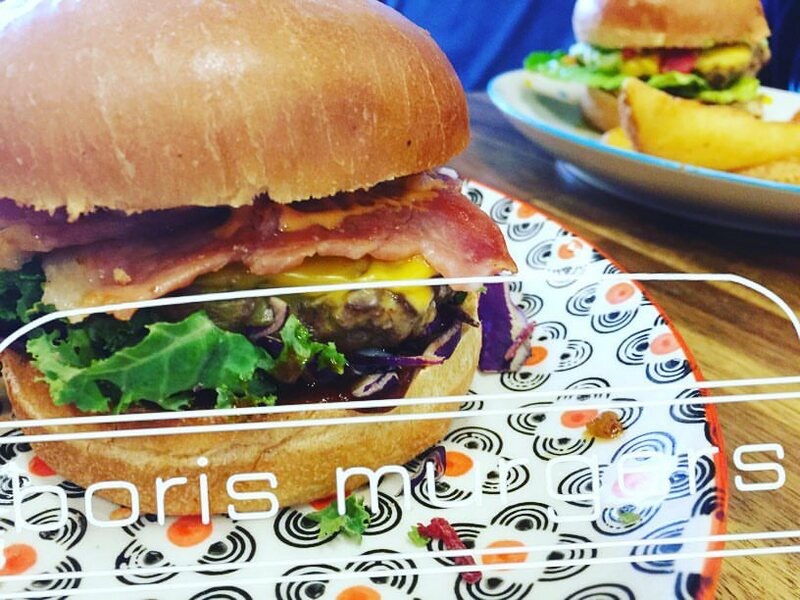 Michelle is studying in Bendigo on exchange for six months, from the University of Windsor in Canada, and working a casual job at our newest View Street café, the very cool Boris Murgers. She’s taking it as an affirmation that Bendigo was the right place to come. And, her stay coincides with Hollywood royalty. Michelle is here at the same time as Marilyn Monroe; the busy Bendigo Art Gallery exhibition in View Street being the reason Boris Murgers was looking for extra staff. When Marilyn leaves at the start of July, so will Michelle. “My best friend is coming and we’re going to travel up the east coast together,” she says. In the meantime there are essays to write, exams to prepare for and placements to complete at Bendigo Health. The caffeine is going to come in handy.